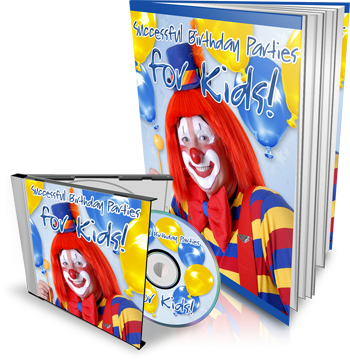 "Successful Birthday Parties for Kids!" Everyone wants their child to have a fantastic birthday party and be able to take those memories with them throughout life. Successful Birthday Parties for Kids! will give you all the tools need to accomplish this plus more. Anyone who values a child loves this book. It makes a great present for an expectant mother or any one who does any planning for childrens birthday parties. I am sure there are fancier hardbacks out there on the market with big colorful pictures and lavish looking cakes and whatnots in between the pages, however the information you will get inside of Successful Birthday Parties for Kids! is practical information that anyone can use. This guide is not marketed towards the rich or the poor, it is marketed for anyone who wants to be able to throw a fantastic birthday party for their child, not go broke doing so, and make that day the most special day of your childs life. Successful Birthday Parties for Kids MRR birthday;parties;party;successful birthday parties for kids 99105647 7.75 digitteam Fresh Download Available!